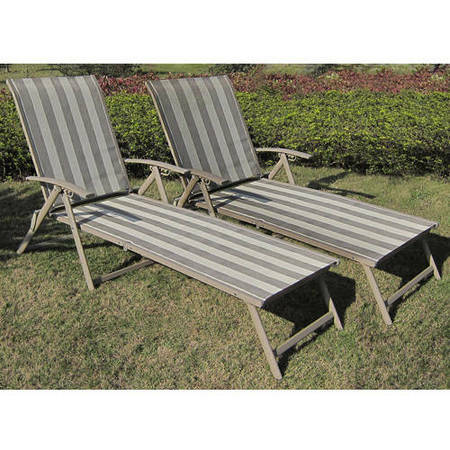 The Mainstays Fair Park Sling Folding Lounge Chairs provide comfortable seating for your deck or patio. This Sling Lounge Chair, which comes in a set of 2, features a powder-coated steel frame for durability. It also has sling fabric for the back and the seat of the chairs. These folding outdoor lounge chairs are easy to clean with just mild soap and water. You can enjoy them all summer long, and store them away before temperatures get down to freezing. With the proper care, these Mainstays Fair Park Sling Folding Lounge Chairs will be lasting.